This is the story from time when I was in initial years of my programming career and I was a huge fan of Jetbrains IDE’s (I am still), I was using Windows prominently at that time though I got Mac meanwhile and shifted on MacOS but still my windows laptop was always my first choice! There’s not a thing like I haven’t tried any linux distro in that phase! I tried most of them but on Virtual Box. I tried once to dual boot my windows PC with KaliLinux as I had got into Hacking at that time but I failed miserably. though I soon realized that this was a fault of corrupted ISO and not mine but I lost my whole data and hence never tried that thing again and continued with my Windows Love. But after few moths on one night I was working on one important consignment and that windows update notification popped up several times and I got really angry that night. That small thing seemed like a huge problem to me that night. Finally I made a firm decision of shifting from Windows and I did it next day. Next day I installed Ubuntu on my Asus laptop and I must say it changed everything! Initially I had to struggle a bit to get used to those commands but it was not a big issue as I was familiar with those things. What I did first was I tweaked a interface. I used a unity’s default UI for 2 days and I didn’t like that much! so I started tweaking UI and I played a lot with it. I have developed several Ununtu themes on GTK+ and also designed one icon pack. I tweaked my whole interface and I used to keep it changing in a month or two as this helps to keep me working. My first week with ubuntu was really awesome! I must say I loved Ubuntu very much! I installed all my daily driving softwares and all on Ubuntu and the journey began. Now I am using Ubuntu as my primary OS for almost 6 months and I must say it’s a best experience and best development environment I experienced. From that time I have never used windows again though I used to shift between MacOS and Ubuntu meanwhile but I didn’t felt the need of using windows desperately in past 6 months. Meanwhile I shifted between LTS and testing version which caused many problems for me as unsupported PPA’s and hence I chose LTS as my daily driver and I never regret my decision. Finally OS is a choice of individual. Some people will find love for Windows, MacOS while some will fall openly in love of open sourced and highly functional linux distros. 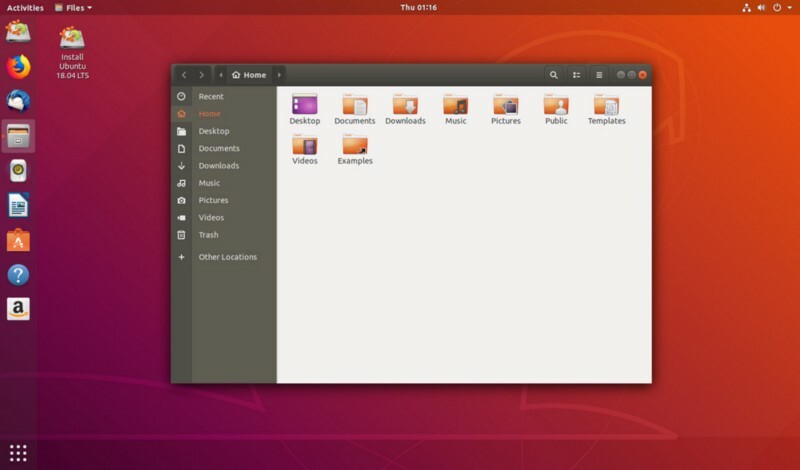 I found Ubuntu for myself, which is your OS? tell us in comments section!